The Thai football team called the Wild Boars, made up 12 children aged 11 to 16 years who were trapped for 18 days in a flooded underwater cave in Tham Luang, in the north of the country, have been invited by FC Barcelona and its Foundation to visit their city next spring and take part in a number of activities that the club is arranging. 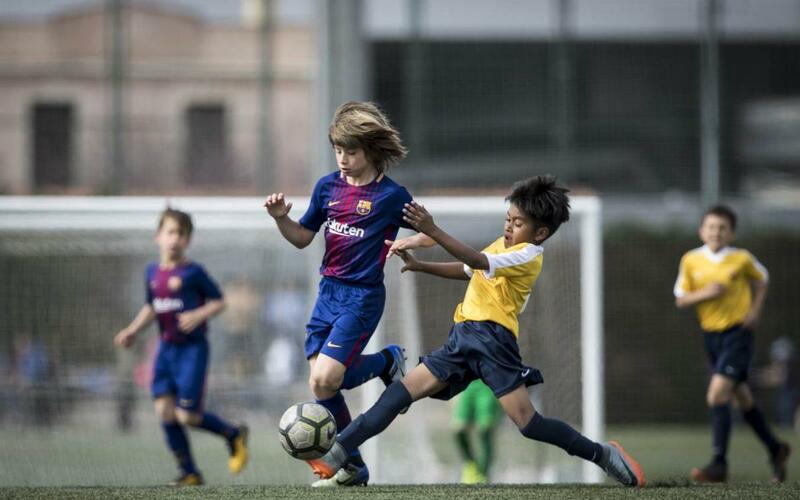 These include the chance to participate in the Barça Academy World Cup, the international tournament at Easter for the club’s academies and which in 2019 expects to bring together 2,000 boys and girls from the more than 40 FC Barcelona soccer schools on all five continents. The twelve players and their coach, Ekapol Chantawong, will also be able to attend a series of sessions on values being run by the Barça Foundation as part of the Masia 360 project and will be able to attend whatever game the first team are scheduled to play that week at the Camp Nou. The rescue operation was successfully completed on Tuesday 10 July following 19 dives and two weeks of tension. FC Barcelona has also offered its condolences for the death of one of the divers involved in the rescue. The young athletes will be spending the next week at Chiang Rai provincial hospital, where they will undergo complete medical examinations. FC Barcelona has been expressing its support for the boys and their families since the day the news broke out, and also sent a collection of first team shirts to the players and their coach.